Since 1989, Think Art Gallery (formerly Arts Alive) has been supporting local artists and hand-crafting exquisite framing. We are proud to represent Arizona’s top artists with a wide variety of styles and subject matter. Our vast inventory includes thousands of works of art from abstracts to westerns. 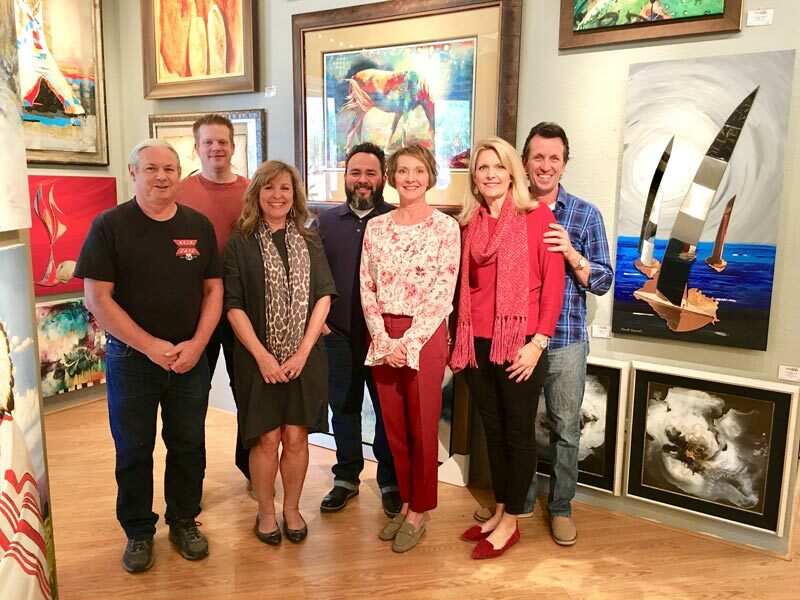 Whether your needs are large canvas artwork, sculptures, shadow boxes, custom mirrors or re-framing some of your favorite artwork, our experienced and friendly team is here to assist you. We look forward to seeing you soon at the gallery! Dave, Doug, Marie, Hector, Kassie, and Heather & Robert Bisetti, Owners.